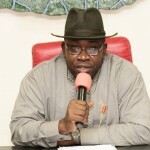 (AFRICAN EXAMINER) – A pressure group, Bayelsa East Ambassadors (BEA), on Monday condemned the violence that sparked off last weekend during the youth election in Okpoma, Brass Local Government Area of the state. 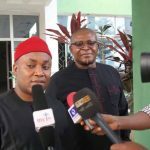 The BEA blamed killings recorded in the scuffle on ex-governor, Timipre Sylva and the lawmaker representing Brass constituency 1 in the State House of Assembly, Israel Sunny-Goli. While two persons were feared dead during the attack, several others were said to have sustained life threatening injuries during the election which was turned into a bloodbath. The BEA in a statement by its President, Omangi George and Secretary Ikisikpo Alfred, alleged that Sylva and Sunny-Goli, “with rich history and background of violence”, ‎orchestrated the crisis which resulted in the disruption of the existing peace in the community. The organisation recalled that it was the same ‎Sylva and Sunny-Goli who sponsored armed youths to carry out dastardly acts during the last governorship election in Brass and other parts of the state. 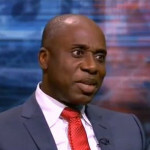 They further recalled that by their actions five people were shot dead on the eve of the election in Ogboloomabiri, Nembe local government area‎ while several others were also fell at different parts of the state, turning the governorship election to war. The BEA which is made up of mostly youths from the three local government that makes up the Bayelsa East Senatorial zone wants President Muhammadu Buhari to arrest Sylva and Sunny-Goli for immediate trial. Their arrest and trial the statement noted will end the impunity and ‎reign of violence that has bedeviled the state for years now and will also bring about lasting peace. While calling on youths in Okpoama ‎to give peace a chance, the group reminded them of the dangers of playing out the evil script of the former governor and lawmaker as they don’t mean well for them. “We are saddened that for an ordinary youth election, Sylva and Adi will deplore so much to the extent that lives have been lost, properties destroyed and people displaced from their homes. “We have said it over time that this two men accounts for over 90 percent of the violence we see in Bayelsa. Rather than work for the peace of the state, they constantly sponsor and mastermind acts of brigandage. It is time they are arrested and tried”, BEA said.